Amethyst was made popular by the iPig iPod speaker dock. Still selling in many online stores, including Amazon, a new series of speakers will be available in Singapore. Here’s an exclusive review on the 2 speakers. As a proud owner of the Audyssey SOMA dock, I often wished I could bring it with me to enjoy. I liked the sound so much that it has replaced my conventional hi-fi system that runs on separate amplifier and table speaker units. The MD1 is far from the Audyssey’s quality, but so is the price. Retailing at below S$200 (Audyssey is priced above S$600), the MD1 is powered by battery and comes with a leather-textured handle. The surface all around is rubber texture except the front which is strong metal mesh grill, and the combination seems to be rather effective in protecting the unit. The MD1 has the convenience of playing audio over 3 input sources. You can connect via Bluetooth, using NFC for quick pairing. You can connect via 3.5mm Aux input for direct signal. You can also insert microSD card, where the MD1 detects and plays standard music files. The top face of MD1 is where the touch buttons are located. Besides the usual music controls (volume, play/pause, tracks), there is an “input” button to switch sources, a “pair” button to activate Bluetooth pairing, a call button for making calls. The microphone can be seen as 3 small holes. Once you turn on the speakers, a short guitar phrase will play followed by a male voice prompt, which unfortunately, the volume cannot be controlled. It sounds rather loud. The voice will sound when you change input sources and when Bluetooth status is changed. There are 2 tweeters, 2 mid-range and 1 sub-woofer facing below the unit. This allows the MD1 to deliver punchy sounds, yet without sounding noisy. I find the low and mid-range frequency outshines the treble, so when playing tracks without sufficient sparkle, for instance, vocal, the audio could sound a tad muffled. That however could be seen as a plus point, as the music plays pleasantly in the background rather than sounding piercing. Thanks to the handy handle, I could carry everywhere I go around the house – even at the bathroom. To be honest, you will only hear the difference in quality against the pricier branded speakers when you compare side-by-side. On its own, I enjoy what I hear from the MD1. The worst thing that any speaker could do is to produce uncomfortably imbalanced or distorted sound. MD1 does none of that. When connected to Bluetooth, the higher frequency audio could get distorted. However, it does not affect the general listening and the distortion over speakers is not as distinct as earphones. To my consolation, I find it also happens to my Logitech UE Mobile Boombox unit. I like the MD1 because it is portable, hardy and affordable. I can bring it for picnics, for roadshow events, it offers multiple connectivity, supports voice call. Its large size means it delivers more powerful low-mid range which smaller speakers could not achieve. What’s more amazing is that you get all these for a fraction of a price compared to established names. I just hope the voice prompt volume can be reduced. 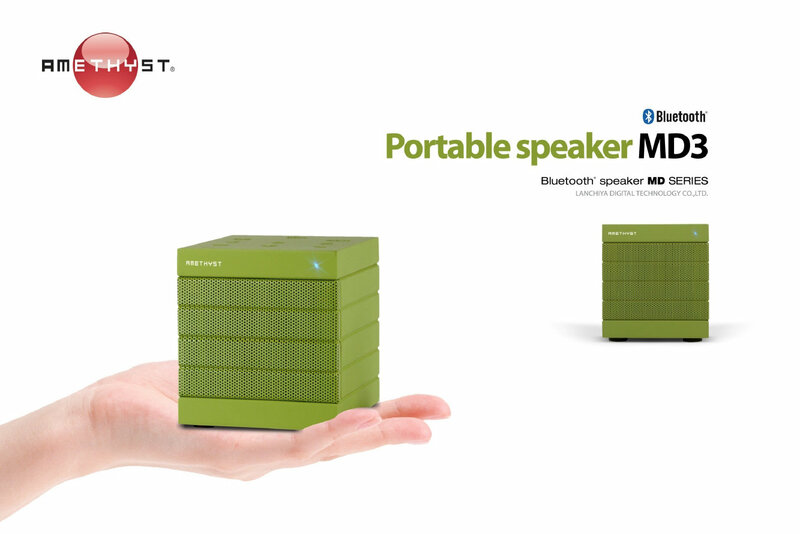 The MD3 looks just like the MD1 except it’s smaller and only has a single speaker unit. For that, you get lesser kick at the low range, the mid-range is not as forthcoming, and you don’t get stereo output. But otherwise, the audio output is equally punchy, and the treble sounds clearer than the MD1. All the MD1’s input handling and connection features are also available. Retailing at below S$100, the MD3 packs a lot of features for the size and price, but perhaps if they have fitted a pair of drivers, the sounds could be more impressive. Between the MD1 and MD3, I am more attracted to the MD1. You might wonder why I prefer a larger speaker that is not baggable, a feature that many other brands try to achieve. It is precisely the large size that made me like MD1. The MD3, on the other hand, is small, just like many brands in the market. If I demand a small speaker with big sounds, I would probably be paying good dollar. If I don’t care for audio fidelity, I might be satisfied with a lower-priced knock-off. Without enough review experience in the wireless portable speaker market, I cannot say for sure whether there are better products for that price. 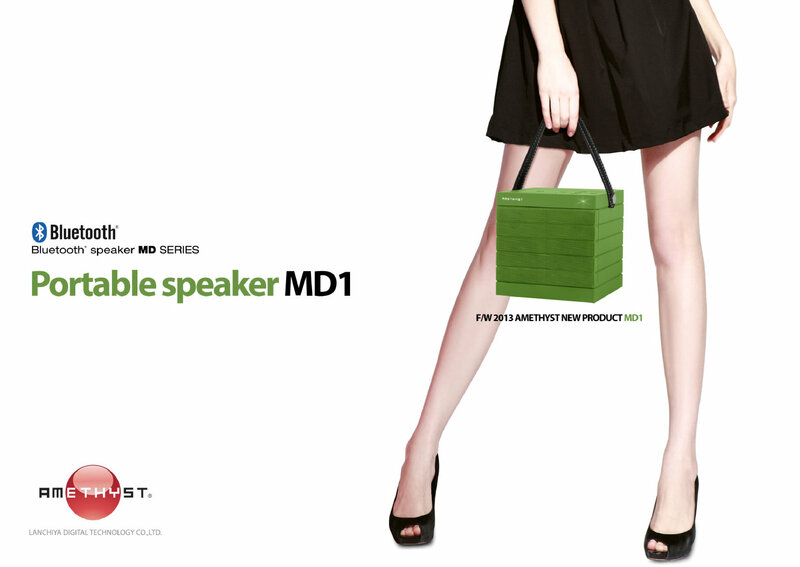 On the other hand, I believe there are no portable speakers in the market with the size of MD1 and for that price. At the end of the day, both products offer good quality sounds for general enjoyment. If this is your first time buying a portable wireless speaker, give yourself a chance to listen to the Amethyst MD1 and MD3. hi how can i restart my Amethyst MD1 speaker? because i cant connect to bluetooth anymore but i can still detect the device and when i turn it off and turn it on again theres no more male voice prompt. how can i fix this problem? please reply.